Our name reflects our philosophy and mission—expanding “equity” to working people and the poor around the world. We believe that sustainable growth, productivity, and the dignity and empowerment of each person are maximized when the two meanings of the word “equity” —fairness and ownership—are united. We believe that every person is by nature a worker, and that every worker should be an owner. We also believe that money is not the highest human value. We believe that money is a tool, and that profits should be a reflection of delivering real economic value to others. EEI’s corporate philosophy is articulated in the Core Values and Code of Ethics of the Center for Economic and Social Justice, our non-profit sister organization and think tank. Our philosophy is based on what we believe are the universal moral principles expressed by all the world’s great religions and spiritual traditions. EEI’s justice-based ownership designs embody the “shared abundance and empowerment” paradigm articulated by such thinkers as George Mason, Abraham Lincoln, Martin Luther King, Jr., Louis Kelso, Buckminster Fuller and William Ferree. 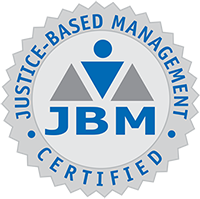 As architects of “invisible” structures for promoting broad-based ownership, we follow basic design principles of economic and social justice, within a system we call “Justice-Based ManagementSM”, or JBMSM (originally named “Value-Based Management”/”VBM” by EEI in the late 1980s). Our ESOPs are designed to help companies maximize organizational performance, human potential and justice through effective education, communication and participation. On the macro-economic level, we are the pioneers in “Capital Homesteading” legislative designs that help countries create the proper monetary, tax and legal environment for ownership cultures to flourish.